4 Most Buzzworthy Movies That Premiered at SXSW! 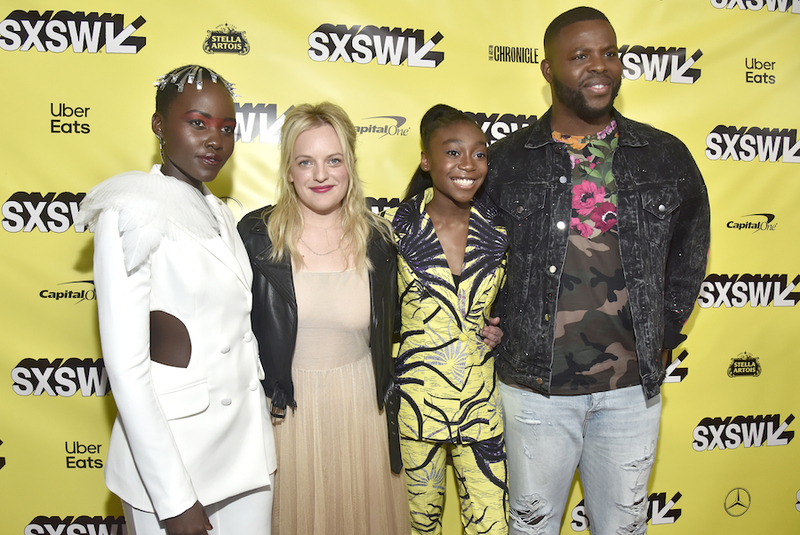 Another South By Southwest festival has come and gone, but the hype around the movies that premiered there has only just begun! SXSW is known for being a hot spot for some of the buzziest movies of the year, and this year was no exception! Here are 5 movies that premiered at the Austin-based fest that we can't wait to see! Please get excited for this movie. A coming-of-age story. Beanie Feldstein. Olivia Wilde’s directorial debut. Many laughs. Sign me up. Booksmart is about 2 over-achieving students who, on the eve of graduation, decide they’ve had enough of all work and no play and want to break some rules. The best friends embark on one epic night to make up for the 4 years they missed. It’s been called the next Superbad but with badass women in the lead. Alternative title: Nick Kroll Does the Olympics. This is guerilla filmmaking at its finest. With a crew of 3 people (including it’s 2 stars), Olympic Dreams literally goes inside the Pyeongchang Winter Olympics to set the scene for a love story between a friendly volunteer dentist (Kroll) and a nervous cross-country skier (played by Alexi Pappas, who is a real Olympic skier!). The Olympic Village in South Korea is an astounding backdrop for a film that hits all the right marks. This movie won the special jury prize for best ensemble cast at SXSW, so if you don’t trust my word, you can trust that. Natalia Dyer (of "Stranger Things" fame) plays Alice, a 16-year-old virgin who feels her first stirrings of sexual desire after watching Leonardo DiCaprio getting hot and heavy with Kate Winslet on a VHS copy of Titanic (I feel ya, girl). Yes, God, Yes is a refreshing and buoyant exploration of a Catholic school girl’s blossoming sexual desire in the religious Midwest, a place with limited resources for the information she needs. The incredible cast also includes "13 Reasons Why" star Alisha Boe. Jordan Peele’s much-anticipated follow-up to Get Out is obviously sparking a ton of interest. It premiered at SXSW to a terrified audience – who gave it great reviews. This thriller follows a family on vacation who find themselves being stalked by malicious dopplegangers who are out for blood. There are also a lot of bunnies. And scissors. Yikes, not a good combo if you ask me! Us boasts an all-star cast, lead by Lupita Nyong’o and Winston Duke, and with it being a Jordan Peele film, expect your fair share of twist, turns, screams, and a few good laughs. This is definitely one to see in theatres. Stay tuned for more of YH's coverage from SXSW, including interviews with the cast of Daniel Isn't Real and more!